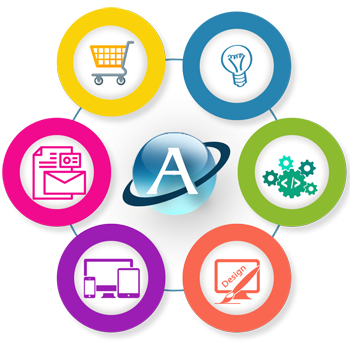 Anutech Designs founded in 2007, offers complete range of services pertaining to web presence; we offer top-notch level services and deliver services tailored to meet your needs. Anutech Designs takes projects for website Design and Development, E-commerce Solutions, Software applications development, Content Management Systems, Mobile app development, E-commerce Website Designing and E-commerce maintenance and Print Media, Brochure design, Magazine Design, Logo design, Illustration, Multimedia solutions like corporate presentation etc..
We possess latest web design and multimedia technology and equipped with proven skills of professional web designers, web developers, multimedia specialists who provides the high quality services with Fast turnaround. Designed & Developed professional websites and E-commerce website for our clients in India, Canada, US, UK and Australia on a variety of subjects. Team of highly proficient website developers and designers, innovative graphic designers, website design architects and experienced business consultants help ensure all website design projects undertaken exceed our client expectations. With a motive of Customer Is King we proudly match the expectations of our clients. We are an expert in Logo designing, Graphic design and website designing to create a long-lasting impression. Following are a snapshot of our services that what we do.